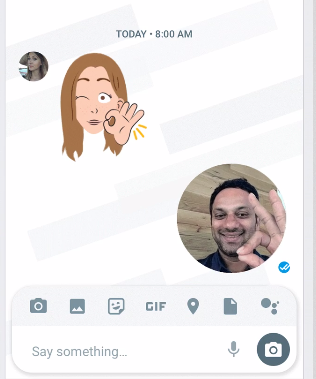 Google allo, google’s chat appliction will have a new feature to make chat more lively. That new feature is Selfie Clips. Selfie clips will enable you to take a short video (GIF) of your self and get it sent immediately during a chat. This is almost close to Facebook stories.